MOSCOW: Hooligans have been conspicuously absent from the World Cup and Russia’s sense of vindication is palpable. 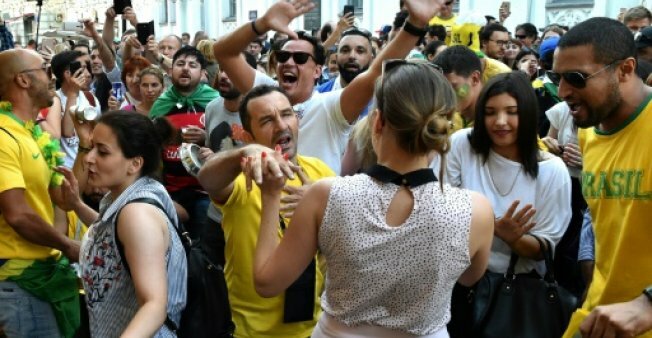 The beating muscle-bound Russian thugs inflicted on England supporters in France during Euro 2016 was still a major talking point in the run-up to the biggest event in sport. Violence became a leitmotif of British and the broader media’s coverage and a foil used by critics of President Vladimir Putin’s rule. Few things insensed Moscow more than another retelling of the chairs thrown and punches landed in Marseille. Now the group stage of matches is over and little has disturbed the peace besides the all-night singing of happy fans in the streets. Some things have gone wrong. Three England fans were banned for performing an anti-Semitic song in a Volgograd pub. And several female TV reporters have been groped and sexually harassed while doing their job. But the host nation has emerged largely unblemished and the naysayers are being proven wrong. This is Russia’s “told you so” moment — and state media are relishing every minute of it. Plenty of European media had actually stopped predicting a World Cup bloodbath by the final months of preparations. Various hooligans told Western reporters that the Kremlin had been using a carrot-and-stick approach to ensure Russia was not embarrassed with the world watching. The feared FSB security service locked up several hooligan leaders to signal they meant business after decades of doing little to counter football fights. Others were interrogated in night raids on their apartments and given two options: either vanish for the duration of the World Cup or face years in jail for the most minor offence. Security analysts said the bigger danger is probably coming from supporters of other teams with flourishing football underworlds. Experts said these include countries in the Balkans and the traditional powerhouse Germany. England is always a menace and the Nordic states are starting to make noise of their own. Russia says it is managing to avert violence by deploying a so-called Fan ID system that requires each ticket holder to undergo a security background check. Those who passed are only allowed stadium entry with a card featuring their photo and a personal identity chip.